Cognitive skills are the underlying skills your brain uses to think, read, learn, remember, reason, and pay attention. Working together, they take incoming information and move it into the bank of knowledge you use every day at school, at work, and in life. 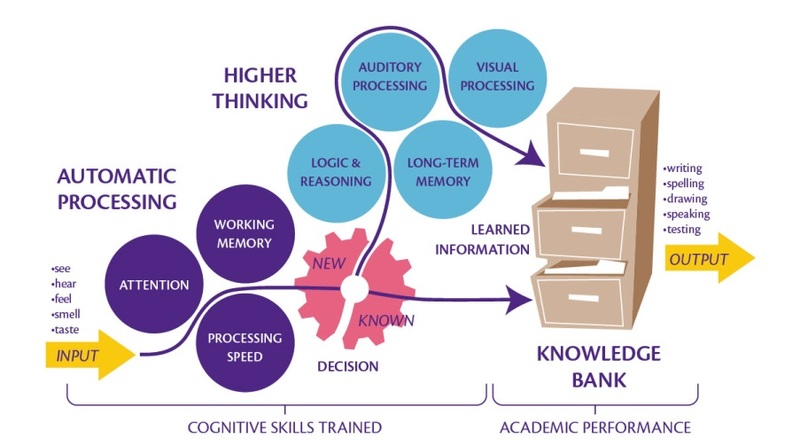 Each of your cognitive skills plays an important part in processing new information. If even one of these skills is weak, it can be difficult to grasp, retain, or use information, no matter what kind of information is coming your way. In fact, most learning struggles are caused by one or more weak cognitive skills. Check out this video on cognitive skills, what can happen when even one skill is weak, and how LearningRx one-on-one brain training can help. Click here to take a digital cognitive skills assessment and uncover any skill weaknesses that might be causing learning struggles. Click here to find a LearningRx center in your area.